Another recipe from Ina. This lemon cake appears in Barefoot Contessa Parties! 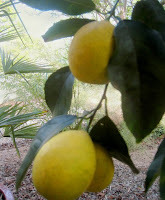 There were several ripe lemons on our tree, so it seemed like a good time for lemon cake. I actually skipped the lemon sugar syrup step, and the cake was still moist and perfect. It gets even better after a day or two. --Brunch was very Ina Garten-inspired. I followed her recipe for the breakfast bread pudding. I think next time I'll slice the bread a little thinner. 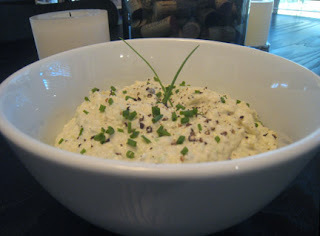 --This is from Barefoot in Paris: Easy French Food You Can Make at Home by Ina Garten. (I should have cut the recipe in half since it makes 12.) 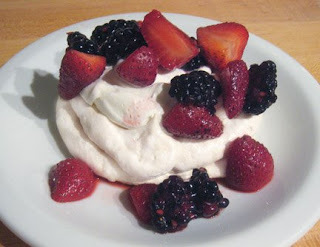 I used a little less sugar than was listed for the meringues and the whipped cream because the berries were perfectly sweet. Unfortunately, I didn't have a large star tip for piping, so the meringues have a smooth edge, and they browned just slightly in the oven but were extremely delicious. 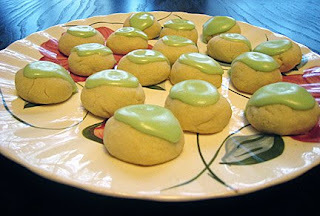 These cookies are so good, I wanted to update this very old post. I just made these again for an Austin food blogger potluck and shot some new photos. 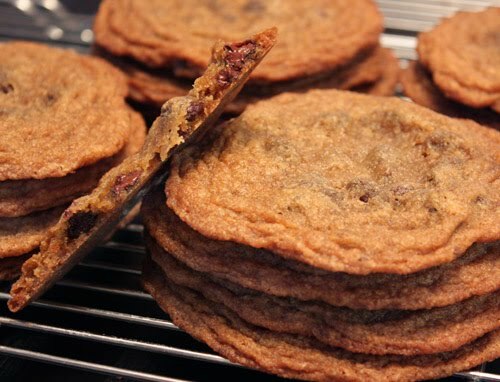 These cookies are intended to spread a lot while baking, and the result is a big, thin, crispy-edged, brown-sugary, irrestible, chocolate chip cookie. I've always found the original recipe to be just a little too low on flour even though that's why they spread so well and become so thin. I have a couple of changes I make including adding one half cup of wheat germ and adding extra vanilla, but I always add a little extra vanilla to cookies. One other thing I do with this recipe is to use one half cup of whole wheat flour in place of the last half cup of all-purpose flour. There's something about the thinness of these and the crunchy edges giving way to tender centers that makes them one of my all-time favorite cookies. The recipe can be found on the Martha Stewart site under Alexis's Brown Sugar Chocolate Chip cookies and also in The Martha Stewart Cookbook: Collected Recipes for Every Day under Lexi's Favorite Chocolate Chip Cookies. These cookies spread a lot, meaning more than any cookie has ever expanded on a baking sheet, as they bake. They need lots of space around them so as not to bake into a solid cookie sheet. I place just five mounds of dough on each sheet pan, and it's not a bad idea to chill the sheets with dough mounds for a few minutes before putting them in the oven. I used a three tablespoon scoop for mounding the dough and left the cookies in the oven for twelve minutes rather than eight as directed in the recipe. 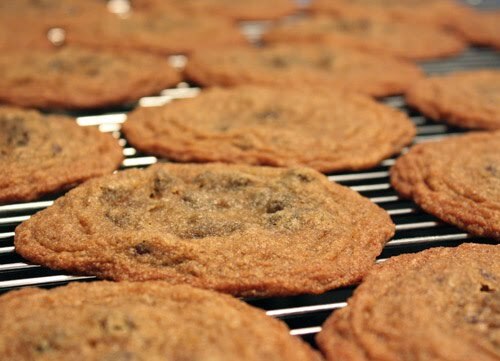 Also, parchment paper or silpats are necessary to easily remove the baked cookies from the sheet pans. One last tip is that these cookies are very big and need time on a cooling rack to crisp. This all makes them sound somewhat fussy, but they're really not and they're definitely worth the effort. On the last day of winter, it seemed like a good time to finish off the pumpkin ravioli that I had made weeks ago and left in the freezer. Back when winter started, I roasted a big, blue pumpkin that had the brightest orange flesh, puréed it, and put it to a couple of different uses. One of those uses was pumpkin-cinnamon rolls which are a big favorite of Kurt’s and mine. Obviously, the pumpkin was also used for ravioli, and some of it remains in a tub in the freezer. The filling for the pumpkin ravioli included puréed pumpkin, a scant amount of toasted bread crumbs, an egg, shredded parmigiana reggiano, and a few scrapes of nutmeg on the microplane. I made a standard pasta dough with flour and eggs, and mixed it in a food processor rather than by hand. (My pasta-making education came from Marcella Hazan via her excellent book Essentials of Classic Italian Cooking, but I took the liberty of using the food processor to speed things up a bit.) I rolled out the pasta into sheets with a hand-cranked Imperia machine, and plopped the filling by the teaspoonful along the length of the sheets. Then, folded the sheets in half lengthwise over the filling and cut the ravioli with a fluted pastry wheel. The fresh pasta was boiled briefly and topped with browned butter, fried sage leaves, and a few curls of shaved parmigiana reggiano and was delectable. 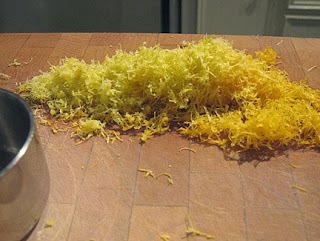 Kurt and I agreed that is our preferred way to prepare pumpkin ravioli, but it is very rich. It makes a great first course or primo. The remaining ravioli went into the freezer, and we enjoyed the browned butter and sage topping again a few weeks later. Last night, to use the rest of the ravioli before Spring arrived and made pumpkin seem out of place for dinner, I tried serving them with a gorgonzola sauce. I made a béchamel with finely chopped sage and melted gorgonzola and parmigiana reggiano into it. 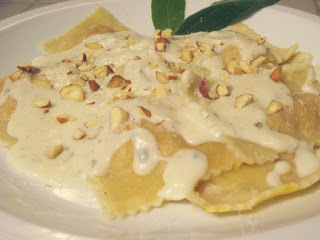 The ravioli were topped with the sauce and sprinkled with chopped hazelnuts and a little more parmigiana. This version of the ravioli was also delicious, and freezing the ravioli works fine, but nothing can beat the taste and texture of fresh pasta on the day it's made. Preheat oven to 325 F; line bottom and sides of an 8” square pan with parchment paper. In a heavy saucepan over low heat, combine the chocolate and butter; stir until melted and smooth; remove from the heat and let cool slightly. Whisk the sugar, vanilla, and salt into the chocolate mixture; whisk in the eggs one at a time, whisking well after each addition, then continue to whisk until the mixture is velvety; add the flour and whisk until just combined; pour batter into the prepared pan. Bake until top is just springy to the touch and a tester comes out with a few moist crumbs, about 35 minutes; transfer to a rack and let cool for 10 minutes; press down on any raised areas to even the top surface; let cool completely. *Note: The brownie recipe is taken from Williams-Sonoma After Dinner. Combine all ingredients and beat with a hand mixer until smooth; spread mixture over cooled brownies. Melt chocolate with cream (or butter) over a double-boiler, stirring constantly, until smooth; remove from heat and let cool slightly; spread over mint layer and refrigerate until set, about one hour; cut into small rectangular bars. 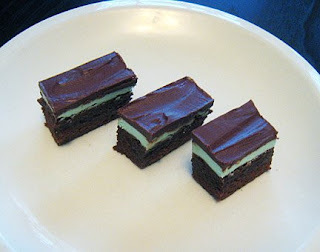 --This brownie bar was taken from Cooking Light March 2008. However, I wasn't happy with their recipe for the brownie layer, so I used a recipe from a favorite book of mine: Williams-Sonoma After Dinner. That book has several recipes I've made time and again over the years. The ganache topping can be made with any type of chocolate, but because the brownie layer is very dense I chose milk chocolate. This recipe is from the Martha Stewart Baking Handbook. I just added some green color to the cheesecake filling for St. Patrick's Day. --This is a crunchy cookie that was delicious chilled. I found that I should have used a larger wooden spoon handle to make the indentations in the cookies because the filling spilled over a bit too much. Not a big deal, and tasty either way. 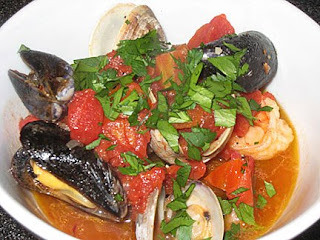 in a five quart pot, saute shallot and garlic in olive oil over medium heat until fragrant; add tomato, wine, and saffron and bring to a boil; add all shellfish and cover for five minutes; remove shellfish as it is done (mussels may open before clams and shrimp will cook more quickly if closer to the bottom of the pot); place shellfish in two big soup bowls with tomato-wine liquid ladeled over top; garnish with chopped parsley; serve with toasted garlic bread to soak up the delicious saffron tomato broth. --This was an easy Sunday night shellfish meal. We enjoyed this with whole grain garlic toast and a salad of mixed greens. *Kurt expressed his delight with this dish without even being asked!